LITECH Chain Block that has reliable design and easy operation won kindly friends from all over the world. 1. The double brake stopped quickly. 2. Swivel hook is made of tempered high tensile steel. 3. Galvanized safety latches with side bending protection. 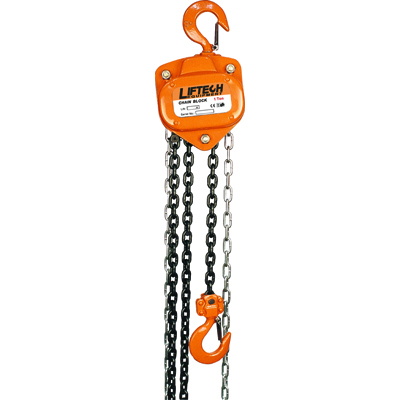 The manual chain hoists of LIFTECH are our valued price alternative to many hoistson the market. It comlies fully with all relevant hand lifting chain hoists international standards andthe CE-regulations for Europe. Its soliddesign and easy way of handling made him many friends through the last years. youwill find LIFTECH in many kinds of industry, shipyards, on cranes and also formaintenance. The largesized safety brake works instantly when operations is stopped, holding the loadsafely in any position. 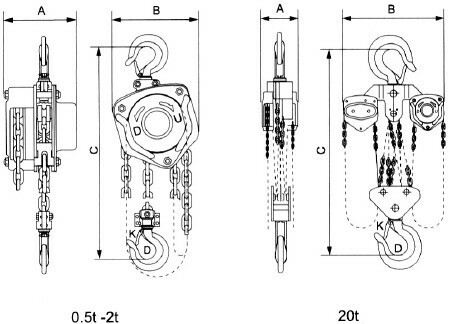 Top andbottom hooks are out of tempered lifting chain high tensile steel. They have galvanizedsafety latches with side bending protection,and spring loaded.